Coming weekend is our last event of the year. After that, we have time to select a number of coins for our Speciality Geocoins. We have stil a number of beautiful Geocoins available. We have also added a new category to our site: Christmas. In the section, you will find some nice Christmas Geocoins and also some funny Christmas trackables. Last week we finally received a new shipment of Travel Caps. We also made a nice deal with Groundspeak, so we could lower the price on the Groundspeak hats. Beautiful dragonflies in 2 editions: Polished gold with orange/green and two-tone polished gold with polished nickel. There is a small hole, so that you can wear it with a necklass.. 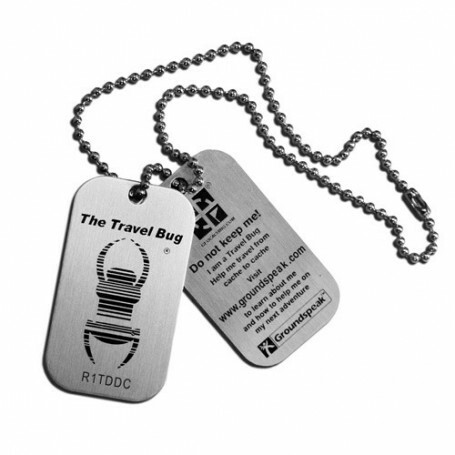 The pocketdecoder has been designed as "functional" geocoin, and can be used to solve mystery caches. By turning the wheel, the inner part can be moved and used to solve mysteries. The Pocket Decoder is 55 mm in diameter and 70 mm high (excluding the top-ring) and 14 mm thick. It weighs 120 gram. The coin is now available in antique silver with red enamel or antique bronze with black enamel. The Pocket Decoder is delivered in a red velvet bag. Trackable at Geocaching.com wit its own icon. There are also some extra center wheels available: CAV and Poker. This design represents the four seasons. It is a large square coin of 50 x 50 mm in polished gold. This week now new specialty geocoins, but we have a number of special ones in the category of Christmas. Convenient pen to hang on your bag. With the pull rope, you can log every cache! With text "Geocaching, this is our world" and GEO sign.